When trying to change the group logo, it will not save whatever image you try to upload. This seems to only be the case for some specific groups, as the logo that is being uploaded works just fine in other groups. Even when changing ownership, the new owner can’t upload any new logo whatsoever. Hello, for some reason I can’t change group icon. Although not for every group, only specific one. I press “save”, it refreshes, and shows the same image. I tried every image, they work on other groups of mine but not on that one. its been 12 days, still nothing is fixed. I am experiencing this exact same issue since December of last year and it’s frustrating. I have tried several different browsers and various different image resolutions to no avail. It’s kind of silly that I’m stuck with a festive variation of my group’s logo for over a month now. The issue is still present for me aswell. Has the image ever been moderated, since then you can’t reupload it. I checked, and I can upload the same image on other groups, so it wasnt moderated at all. I think its a bug related to the new groups layout. Does anyone else still get this issue? It’s very annoying, at it happend to my biggest group (15K Members) and I cant change the logo to a new one, so it kinda messes things up. Hopefully it will be fixed one day. It’s still a problem for some groups, I believe. I’ve tried everything again and I still can’t change the group logo for the specific group I have mentioned, while I have no issue doing the same for others. 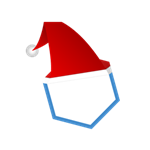 It’s 3 months past Christmas and my group logo is still wearing a Santa hat. I can’t update certain groups with a new logo. The issue is not fixed. I’m still getting several reports on it a week. Thanks for the reports. We have a fix in the pipeline. Thank you, my group will finally no longer need to celebrate very late Christmas! Turns out this problem isn’t just for Group logos. It occurs also when trying to upload decals, thumbnails and game icons too. This bug should be fixed now. Let me know if you still encounter it. Nice to finally have a fix to the problem!